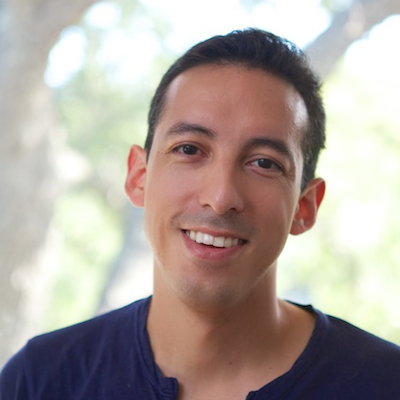 Chris Perez is a guru of digital media, writes Metropochris; and is a photographer and contributor for Apartment Therapy and The Kitchn. Chris is currently running a Kickstarter campaign for his latest endeavor: Citygram Magazine. The Austin-based, globally accessible magazine will present curated content emphasizing taste and useful information. I was born in Plano, Texas, a large suburb about 30 minutes outside Dallas. When I was in high school the city gained notoriety for a heroine epidemic that got national attention from an MTV documentary. It was very real and pretty disturbing to see. On brighter topics, I blog because of the way it can reach and help people. Casting out ideas, tips, recipes or advice wouldn’t be any fun if no one was reacting to it, benefiting from it, or gaining some kind of connection. I have a wide range of interests … technology, design, food, cocktails, and entertaining … so my focus shifts in and out from those realms. The common thread between all those things – and what resonates the most with me – are the people: the chef, the designer, the artist. I had the good fortune to spend time, and have conversations with, some very talented and inspiring people over the past year. I’d like to devote even more focus on them, because I think this city and community is unique and genuine in its willingness to help. Hearing their stories is what ultimately led me to leave my full-time job as an electrical engineer to be a freelancer … and now founding editor for a digital magazine I’m starting called Citygram. It’s written by the same people who showed me that life is more than acquiring one thing after the next, it’s about creating, and giving yourself fully to the community. It actually all happened on a bit of a whim. I started a small blog, housepoint0.com, to more or less document the DIY’s and before/after updates my wife and I would do for our home. I shot photos in full automatic mode, and never really thought about going beyond that. But then, in between projects at my engineering job, I saw a post for a tech writing position go up on Apartment Therapy. They were looking for another writer to talk about home tech and mobile apps. I’m a gadget guy. I knew a lot in that space, so I sent a resume their way. They called me up and then gave me the position the next week. In that first year, I went from just writing about tech, to doing home tours, to writing about food on TheKitchn, and to developing my own blog MetropoChris that kind of serves as a catchall for the things I want to write about but can’t quite fit within the frame of the national blogs. We don’t have a pantry but we have a well-stocked magnetic spice jar rack that hangs by the main counter. Having a lot of spices on hand allows my wife and I to try daring recipes without having to buy a long list of things from the grocery store. The fridge always has some lactose-free milk in there for my morning coffee. Some eggs for omelets, some garlic for everything, and some kind of infused simple syrup for a cocktail. If you could share dinner with anyone, who would you host and what would you eat? If you asked me this question 6 years ago I would have said Michael Jordan, and perhaps a list of other notable big-name celebrities. But now, after living in Austin and being a part of the culture and local community, I’d say Aaron Franklin, Bryce Gilmore, Paul Qui, Jodi Elliot, among others. Those are my celebrities now. They are the people I look up to. They’re real and they do great things. We’d have some kind of gathering where we’d bake some desserts in the oven, throw some vegetables on the grill, and roast a goat in a La Caja China while sipping on beers and cocktails as it all came together. Then everyone else I’ve come to know from the community would drop in, too. We’d feast, laugh, and have good conversation around a fire pit until midnight. I’m going to have to agree with Brittanie here, and say the AFBA potluck. This happened literally a week after I got accepted into AFBA and it was a thrill to see how big, talented, and friendly the community was. The light, the weather, and the setting (Springdale Farms) couldn’t have been more gorgeous; So perfect I eventually came back to do a proper home and kitchen tour with the owners of Springdale Farm, Glen and Paula Foore. My most popular post was a How To: Upgrade a Wall Outlet to USB Functionality for Apartment Therapy. It was even plagiarized by another outlet some time later. On my personal blog, I think it’s the Avocado Margarita recipe that is in the AFBA cookbook.